Several sites have tried to persuade readers that this is a hoax. It is not. The academic departments referenced in the story have deep ties to the Military/Industrial complex and have issued denials about any observed near earth object possibly striking earth. However they will not explain the specifics of their research in Antarctica. Only recently did they admit to using an military underwater robot and hot water drill that drills through 1km of ice per day. It is the vehemence of the denials and lack of transparency that is becoming very suspicious. If you caught Starfire Tor on CoastToCoastAM last week you may have heard her mention that ‘they’, the PowersThatBe know that an incoming near earth object is going hit earth sometime in the next 2 years. 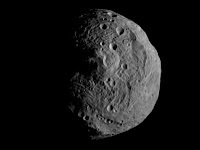 There is evidence to suggest the object is going to strike one of the poles… most likely the south pole. Special Scientific teams have been down in Antarctica mapping the ice shelf for probable weak points. The object is rumored to be 800 meters wide and when it hits the south pole the entire ice shelf will collapse within months. The PowerThatBe and the super rich are making preparations. They have seed vaults and underground bunkers prepared. This is the reason they do not care about the world’s environment or the financial system. It won’t matter. A billion will die. The oceans will rise 70 meters. Mankind will lose half the food supply. You have 1 year to prepare. The Mayans, the Sumerians, the Babylonian civilization, native Americans and countless other cultures have foretold this event. The earth is going to get hit by a small object that is in tow of a much larger object. The larger object revisits the earth on a predictable cycle. It will flip the earth upside down. Americans Military forces now control all of the high mountain ranges and have been building bunkers for years, this is the reason for staying in Afghanistan. Only the super rich elite will be invited escape the apocalypse. 90% of the death and destruction will come from the panic and wars after the event. Trillions of Dollars have been sucked out of the economy to build news space shuttles and space projects. Most of the UFO sightings are these black-project vehicles. 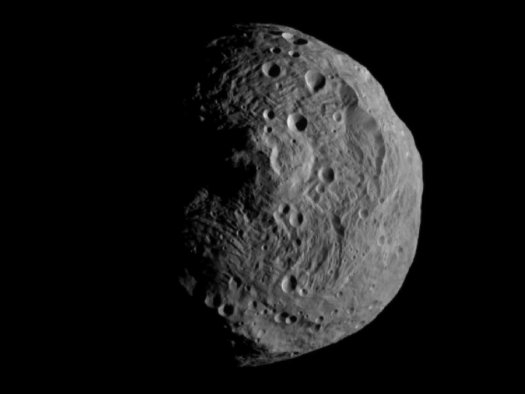 A University of British Columbia Professor published an online article that projected an 800m asteroid would hit Antarctica in the fall of 2012. His article was on the www.phas.ubc.ca website for 2 days before it abruptly disappeared. The initial data was gathered by The Balloon-borne Large-Aperture Submillimeter Telescope (BLAST) at McMurdo Station, Antarctica. The theorized asteroid was then tracked by Canada-France-Hawaii Telescope on Mauna Kea, which (with the Adaptive Optics Bonnette) supplies probably the sharpest images currently obtainable from the ground. One week after this mysterious article disappeared, “Canadian and American astronauts say the world needs to prepare for the big one — the asteroid impact that could one day devastate the Earth.Veteran Canadian astronaut Chris Hadfield is president of the Association of Space Explorers, which has prepared a detailed report on the asteroid threat. The Canadian Space Agency intends to launch NEOSSat next March to look for asteroids that may be hiding near the sun. The $15-million suitcase-sized satellite will circle about 700 kilometres above the Earth. A Canadian Space Agency official says NEOSSat is expected to detect hundreds of new asteroids during its first year of operation. It will also monitor the heavy traffic of satellites now orbiting the Earth to try to prevent possible collisions.” Link The article hypothesized a 94% probability that the asteroid would impact on the Filchner-Ronne ice shelf and cause 2/3 of ice on Antarctica to crumble into sea. The article surmised the total collapse of all Antarctic ice within 2-4 months after impact. “A deep enough impact would crack the ice shelf like a window and total structural collapse would be inevitable, a few months at the outside.” If the ice on Antarctica was added the the world’s ocean it would raise them by 70 meters.